I often have a regular Twix for pudding after my dinner at night washed down with a black coffee. Tonight I have a Twix White Xtra washed down with my favourite white hot chocolate drink. It was kind of strange breaking into the packet to see white chocolate bars instead of milk chocolate covered bars. 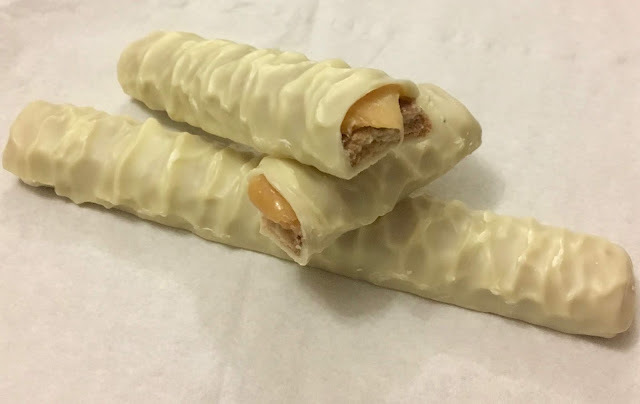 However, I like white chocolate just as much if often more than milk chocolate, so I couldn't help but look forward to tucking in. 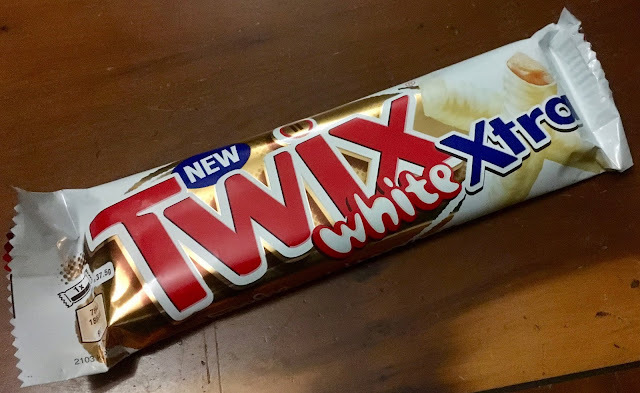 It might sound a little odd to say, but this Twix White Xtra tasted completely different to the milk chocolate version. "Of course, it's white chocolate," you may be thinking. On biting in there was much more flavour from the biscuit than usual, with less sweetness from the caramel, even though there seemed to be the usual amount. In the milk chocolate version the caramel flavour stands out much more. The white chocolate coating had a creamy slightly milk powder flavour with a touch of vanilla for added sweetness. The bar tasted great though, especially coupled with sips from my piping hot white hot chocolate drink. I'd certainly have these again as an after dinner treat. The 75g bar contains 188 calories per 35.5g stick, with 9.4g of fat, 18g of sugar, and 0.15g of salt. Please see photograph for ingredients. Great for dunking in hot cups of tea. Sounds sickly I know but the taste of the melted chocolate is just absolutely delicious. Well, two weeks on and thanks to this post I'm now addicted to these :) I hope they really are "new" and not "limited edition"! Lisa - tell me about it, I suspect they are going to be popular though so should hopefully stay around.